Definitions - 1. 'Company' means Roller Doors Limited 2. 'Customer' means customer of the Company 3. 'Conditions' means these conditions of sale. 4. 'Contract' means any contract entered into for the sale of goods by the Company to the customer. 5. 'Goods' means any Goods the subject of any contract and shall include any part or parts of them and materials incorporated in them. 6. 'Carrier' the company person or persons with the object of delivering the Goods to the Customer. 1. All orders are subject to these Conditions unless otherwise agreed. All goods are subject to availability. 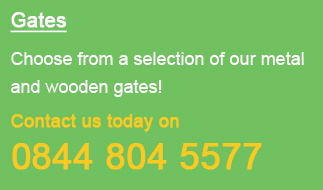 If you do not understand any of the following please email the “company” at sales@gardengatesdirect.co.uk or by telephone 0844 804 5577. 2. These Conditions represent the entire Conditions of sale and nothing shall operate to in any way alter or vary the Conditions without the prior approval of the Company. 3. These conditions shall apply to all contracts to the exclusion of all other conditions express or implied by statute or otherwise to the extent as is permissible by law. 4. Acceptance of Goods by the Customer shall be conclusive evidence before any Court of Arbitrator that these Conditions apply 5.Roller Doors Limited reserves the right to change the Conditions without prior notice. Customers are advised to check for any variations to the Conditions before an order. 1.All orders are accepted based on the information that you supply. It is the responsibility of the customer to ensure all details supplied are accurate to your requirements. 2. The company cannot accept any responsibility for any product that you the customer order incorrectly, nor can we restock made to order items or accept returns for these items free of charge. 3. The Company reserves the right to refuse any order. 4. Orders are accepted on the basis the Customer has read and accepted these conditions. 1. All prices on our website, leaflets and promotional material are in pounds sterling and include VAT @ 20%. 2. The Company reserves the right to change the advertised price before you place an order. 3. No charge is made to the Customer for Credit or Debit Card payments. 4. The price payable for the goods you order is as set out on our website at the time you place your order.5.The Company must receive payment for the whole of the price of the goods you order, and any applicable charges for carriage and insurance, before your order can be accepted unless we have agreed otherwise in advance in writing. 6. Quotations are not offers and may be withdrawn or revised at any time before acceptance of an order by the Company. 1. Orders for standard items may be cancelled up until the point of dispatch upon which you will receive a full refund. 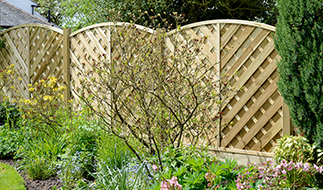 Cancellation must be in the form of an email to sales@gardengatesdirect.co.uk. 2. In the unlikely event you receive standard goods listed on this website and wish to cancel the order, under the Distance Selling Regulations, customers have a period of 14 days (starting the day after the date of delivery) within which they can cancel the contract.3.Made to measure items and bespoke products cannot be cancelled after an order has been placed. 1. All products are sold on a supply only basis and no responsibility is taken for fitting costs. We advise you check all parts are present and correct before scheduling an installer. 2. All products must be fitted in accordance with the manufacturer’s fitting instructions and no responsibility is taken by the Company for these installations. 3. The company will accept no liability for incorrectly installed products. 1. In the unlikely event the Customer wishes to cancel an order for standard items contained within this website, under the Distance Selling Regulations, customers have a period of 14 days (starting the day after delivery) within which they can cancel the contract( Excludes made to order items and bespoke products which cannot be returned for a refund).2. Returned goods will only be accepted if they are returned in their original packaging (where possible), unused and with all instruction manuals. 3. Outside of the 14 day cooling off period for standard products, we will only refund goods that are found to be faulty and a suitable replacement is not available.4.The goods must not have been installed. 5. Customers are responsible for obtaining proof of delivery and receipt of returned goods. 6. Before returning any goods the Customer must contact the Company to obtain a returns number. 7. All refunds will be issued upon receipt of returned goods. Refunds will be by cheque or if you paid by credit or debit card, credited directly to the same debit or credit card that you used when placing your order. All refunds will be made within 28 days of receipt of the returned order. 8. Where applicable postal or carriage charges are not refunded in the event of a customer returning goods and are the responsibility of the Customer. 1.Roller Doors Limited excludes any liability for any claims, loss, damages, demands of any kind whatsoever, including direct, indirect, incidental or consequential loss, damage, whether arising from loss of revenue, profits or otherwise. 1. We will deliver the goods in accordance with your order. A valid signature will be required on delivery. In the unlikely event that you have not received all the goods within 28 working days of the expected date of delivery (or where you have requested a delayed despatch within 28 working days of the requested despatch date), you must notify us immediately. 2. All delivery dates are approximate. 3. No liability will be attached to Roller Doors Limited, if delivery periods or dates are not met for any reason. 4. All deliveries are to ground floor access only. 5. Claims for damaged goods on delivery must be notified in writing to Roller Doors Limited within 5 working days of the date of delivery (by e mail to sales@gardengatesdirect.co.uk) stating any damages and/or defects of the goods received from the carrier. No claims will be accepted after this time. 6: Any claims for damage to the goods or the deterioration in the condition of the goods, occurring in transit by customer nominated carrier, occurring after delivery from the company appointed carrier will be rejected. 7. In the event of a claim for damaged goods, photographic evidence is required. 8: The Customer (or your nominated representative who must be over the age of 18) must sign a proof of delivery document upon receipt of the delivery of your order. 9. For large items, should we be unable to complete your delivery due to you not providing able assistance to offload, the products in question will remain on the delivery vehicle and will not be redelivered until the Company receives a delivery charge of £60. Re-delivery will then be scheduled and you will be advised of the date for the delivery. 1. The Company shall not be liable to the Customer, or deemed to be in breach of the any of the Conditions of the Contract whether set out in these Conditions or implied by Law or Statute by reason of any delay in performing due to events outside the control of the company.